The summer field season has continued to be busy. 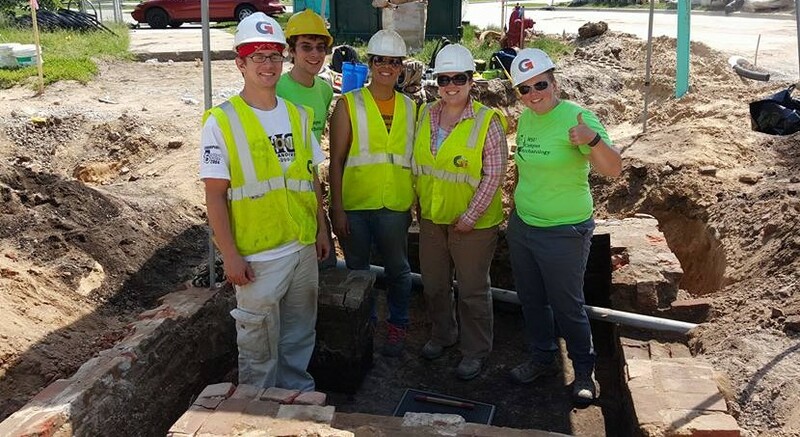 Last Monday, while making our routine monitoring rounds of the North Campus Infrastructure Improvements construction site we noticed a concentration of bricks and dark soil near the Museum. 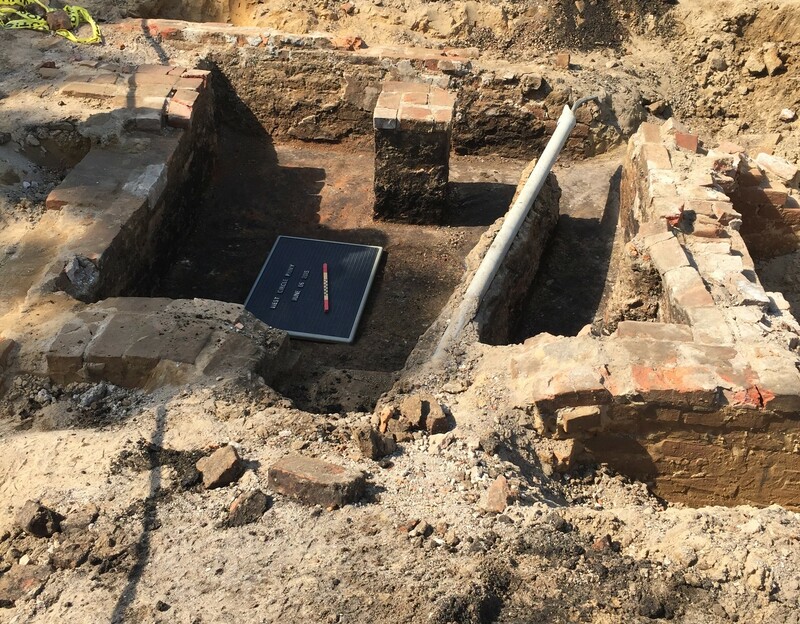 As previously mentioned, the first week of the season we located the partial foundation of Williams Hall near the museum, so a find in this area wasn’t surprising. However, what this new site ended up being surprised us all. Monday afternoon was spent locating the limits of the brick concentration. Consulting some of the overlay maps, we hypothesized that this may be part of the northern portion of the old Engineering Shop. But it didn’t match quite up well enough to the engineering shop on the maps. Upon further reflection the shape of the structure (a 2 meter by 2 meter square) with close proximity to Saint’s Rest and concentrations of extremely dark soil lead us to one conclusion, that this was most likely a privy. This is the first historic privy that CAP has located. Privy’s are always extremely exciting finds because they inevitably contain large quantities of artifacts. Throughout the life of a privy, objects are both inadvertently dropped into the holding tank, and intentionally deposited as a means of disposal. They also tend to be very intact because even after it is decommissioned it is avoided because no one wishes to disturb its contents. This privy did not disappoint in terms of artifact quantity and quality. The night soil layer produced an incredible amount of artifacts for such a small area. 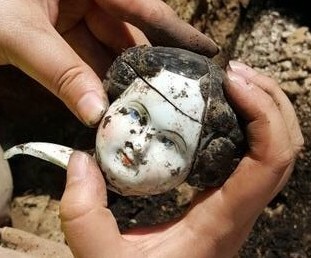 Some of what we uncovered includes whole plates, drinking tumblers, intact bottles, eggshell, a large quantity of fish bones, and two porcelain dolls (one large, and one small). Preliminary research indicates that this deposit is likely from the mid to late 1800’s, with everything examined thus far dating pre 1890. 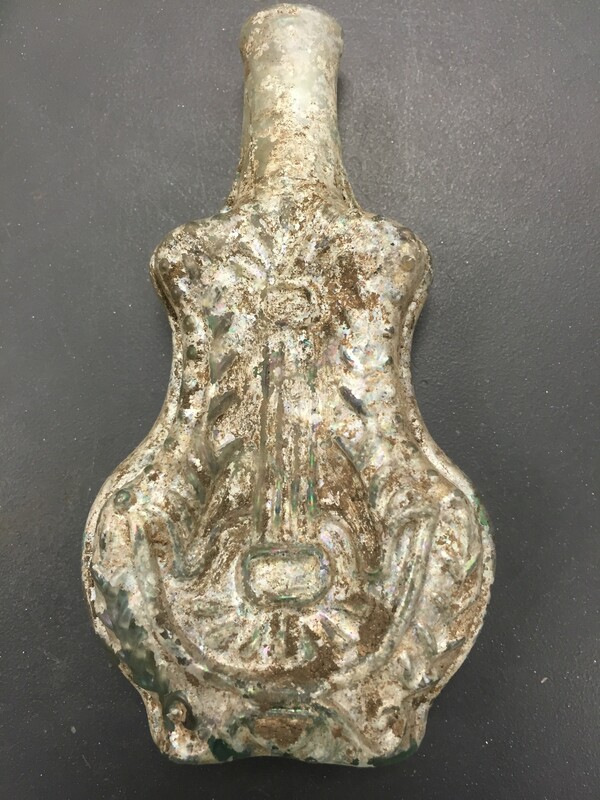 This is an incredible find and we look forward to analyzing the collection and reporting on it as we move forward. I actually will need to…HaHa). You certainly put a new spin on a subject that has been written about for decades.